Out From Under bras are known and respected for their quality and style. Pamper yourself with a perfect front close bra that will enhance your cleavage and provide all the necessary support. 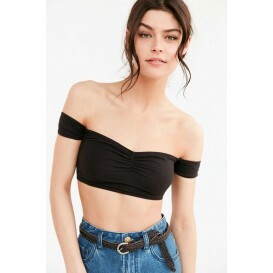 Bra4Her.com specialists have compiled the largest selection of Out From Under front close models and made it easy for you to find your most wanted one by color, size or over 20 other criteria. Compare all the Out From Under front close options present on the market and click to buy directly from the store – you don’t pay extra and save time on browsing dozens of separate websites! Front Close bras from Out From Under have never let anyone down – let them become a part of your lingerie wardrobe and diversify your style!